Great news! I have a World AIDS Day blog entry on TheBody.com, the AIDS information clearinghouse. Check out the link along with info about HIV testing below. If you have questions about HIV testing and AIDS education, please visit www.apicha.org, email at apicha@apicha.org, or call the APICHA InfoLine at 1.866.APICHA.9 (866.274.2429). Phone lines are answered by trained and competent peer counselors in Bengali, Chinese, Japanese, Korean, Tagalog, and Urdu. Have You Done It Lately? – World AIDS Day 2010 at The Body. Have You Done It Lately? Have you gotten tested for HIV lately? That’s the topic for an upcoming Vox Pop video for MTV’s Staying Alive Foundation to be filmed in association with the Asian & Pacific Islander Coalition on HIV/AIDS , Inc. (APICHA). The need for the dialogue about HIV testing is strong among Asian/Pacific Islanders (APIs), who are the lowest group in statistics for HIV testing for people living in NYC. In 2009, 58 percent of APIs reported that they have never been tested, compared to almost 28 percent of African Americans and Hispanics. As for those who got tested “lately,” only 17 percent of APIs got tested in the last 12 months, compared to 45 percent of African Americans and 41 percent of Hispanics. APICHA has been working on HIV prevention in the API communities of NYC for 21 years, and still they say the fight is not over. HIV/AIDS stigma and related discrimination continue to pose a problem for testing with APIs. Candidness is not a common trait in traditional Asian cultures, least of all candidness about sexual practices and health. What about you? I’d like to hear from you, the readers, about your thoughts on HIV testing. Have you done it lately? What freaks you out about getting tested? What was the tipping point (or event) that made you decide to get tested? If you haven’t done it lately, what’s stopping you? Tell us about it in the comments. 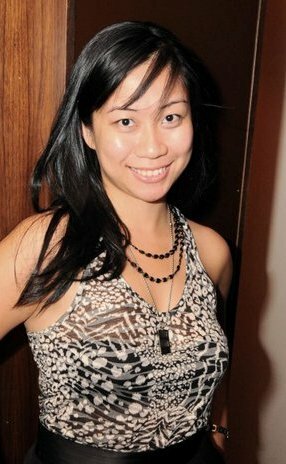 Pamela K. Santos is an Asian American independent blogger and community volunteer for APICHA and other organizations. Subscribe to her blog on www.pamelaksantos.com and follow her on Twitter @PamelaKSantos for topics about health (including HIV/AIDS and sexual health), women’s issues, and Asian/Pacific American communities. She has dedicated her personal and professional efforts to fighting HIV/AIDS in memory of her late uncle.